3. Type in the correct Server Address and click Connect. 4. In the Connect to Server window, type in your user name and password which is the same as your email username and password. 7. You will see your folder. 8. 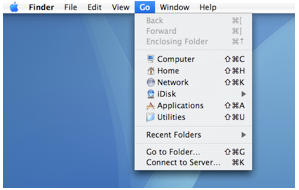 Drag and drop any files and folders from your computer into your network folder to copy your files to the network. 9. Once they’re all copied to the server, it is safe to delete them from your computer.